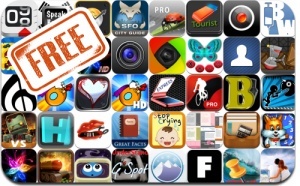 Looking to fill up your iPhone or iPad with free apps? Great deals are constantly popping up in the App Store, and here are 40 apps that are now free. This apps gone free alert includes Super Bit Dash, Call of Mini: Zombies, Hot Donut, Gosar Ep. 1, Monster Soup, Hot Donut, Holographium, Countdown++, FotoFlo M, Scrap It: Summer Time, and many others.